MBA vs Masters in Management (MiM): which one should you choose? Home Blog MBA v/s Masters in Management: Which one should you choose? MBA v/s Masters in Management: Which one should you choose? An MBA or a Masters in Management? This is a question that almost every college senior comes across at some point of the application process when deciding on the future. 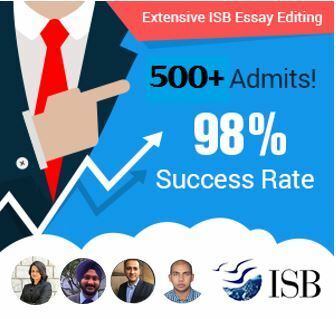 The dilemma is clear: MBA v/s Masters in Management is essentially about whether one should one opt for the Masters in Management immediately after the undergraduate program or wait for a few years to apply for the MBA (For those wondering if there are any options to go for an MBA right after college, the answer is YES – see this post for more details). – Academic content [the MBA is more advanced]: In terms of the academic skills and learning on offer, the MBA offers more advanced courses and more industry-centric opportunities (the HEC Master in Management is an exception in this regard – it is very comparable to an MBA). The MiM, in this regard, is considered to be less practical and more theoretical. This does not mean that the MiM is deficient in offering core business education, but only that some of the more advanced courses may not typically be available at MiM programs. – Experience requirements and program length: While MiM programs do not require work experience, most MBA programs require at least two, and practically often more. This makes sense, given that the MiM is for early career professionals and the MBA for experienced professionals. Most MiM programs are an year long (although there are exceptions – the HEC MiM, for example, can take up to 3 years to complete), while typical MBA programs are two years long. 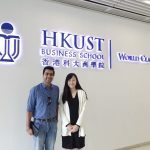 This is changing though, and more one-year MBA options are rapidly being introduced (for more information, see GyanOne’s analysis of the one year MBA in Asia, one year MBA in Europe, and one year MBA in the US). – Cost of education [the MiM is much cheaper]: Typically, MiM programs cost close to half of what MBA programs do. This can vary a bit between specific programs, but in almost all cases, the MiM will end up being at least 30-40% cheaper than the MBA. – Career opportunities [the MBA has better opportunities, but read on]: The comparison between the MiM and the MBA is really unfair to an extent in this regard. The MiM is a management program meant for early career professionals (most just out of college) while the MBA is best suited for mid-career professionals. Given the different natures of the programs, it is to be expected that MBA graduates will get more senior and better paying roles as compared to MiM graduates. The true comparison, though, is not between graduates of these programs at these junctures. The two situations that we really need to compare are: Bachelor’s + 4-5 years of experience + MBA v/s Bachelor’s + MiM + 4-5 years of experience. This ensures a comparison between professionals at similar career junctures. The answer to this one is not as clear. Many professionals will get into entry-level management positions and work their way up the ladder in the following 4-5 years, easily reaching positions that MBA graduates will achieve after the MBA. 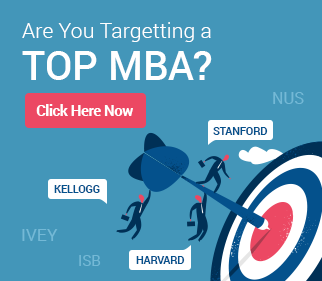 For instance, consulting firms, investment banks, and financial services firms might offer excellent opportunities to MBA graduates, and the MiM path there might bring in rewards at par with what the MBA path would bring. Similarly, niche fields such as Luxury Brand Management see a lot of MiM graduates taking up top positions in industry (just in case you are wondering, Luxury Brand Management is also offered at top MBA programs). – Location of study [Europe dominates for MiM, while MBA is spread across the world]: Most of the top MiM programs are still offered by European institutions. The LBS MiM, HEC MiM, and the programs at St. Gallen, IE, ESADE, and ESCP are very popular and top of the list of most MiM applicants. More US schools are now adding MiM program to their list. Businessweek reports that Ross added an MiM program in 2013, and Tuck is actively considering adding one.